One way is to do it manually. Even in the manual method there is a quick way and a slow way. So below we need to insert a blank row after each row of data. You would need to do this again and again until it is done. 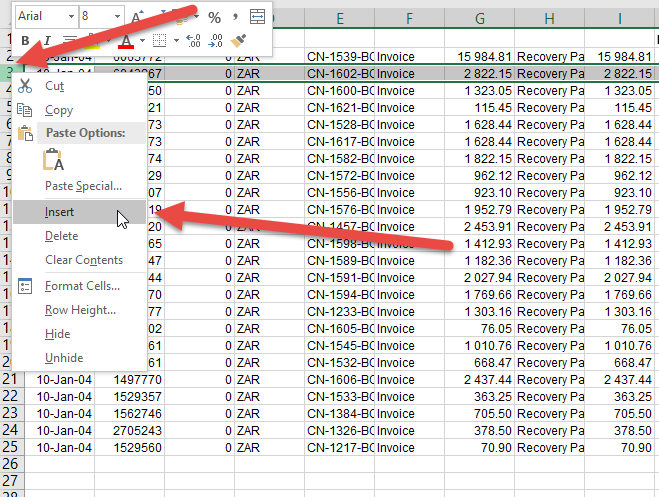 Let go of the CTRL key, right click on any one of the row numbers and click Insert. The end result should look like this. 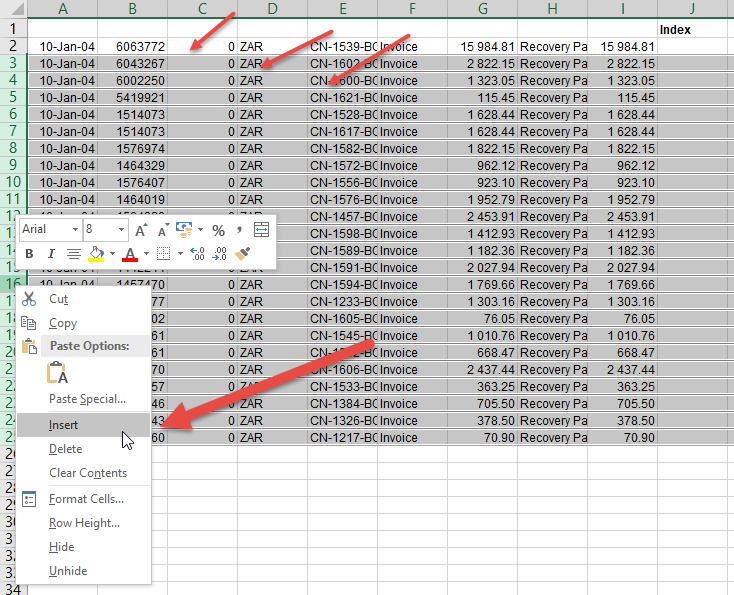 Excel systematically inserts a row in such a way that you now have a blank row between your data. The methods above work well if you have a few lines. However, what if you have thousands of lines that need to have a blank row between them. 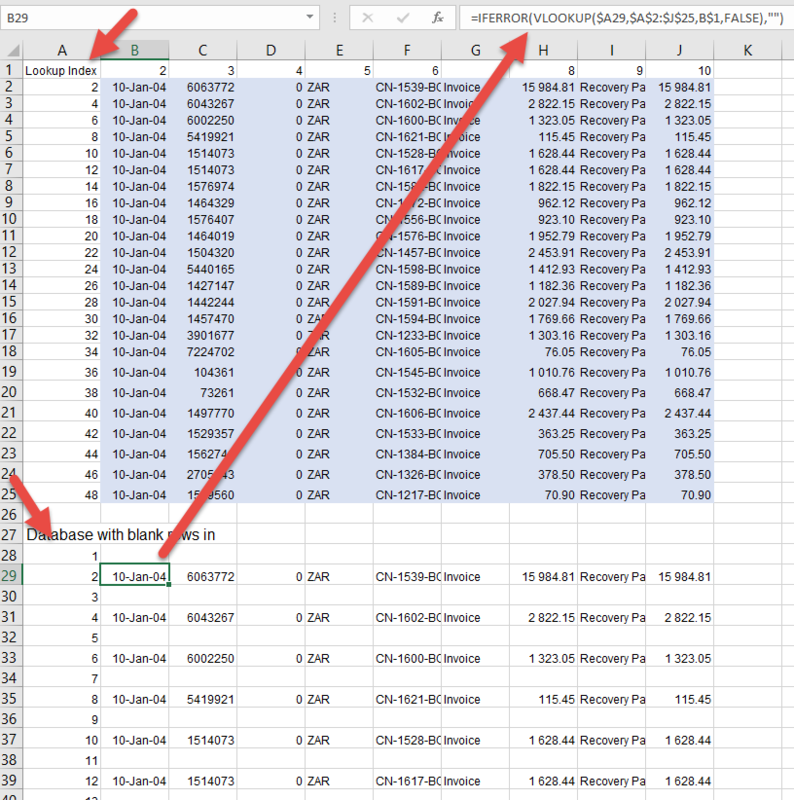 One way is to create an index column. So below in column J we have created an index column. In cell J2 we type a 2, then below that we have a formula that says look above you and add 2, so we create a list of even numbers. 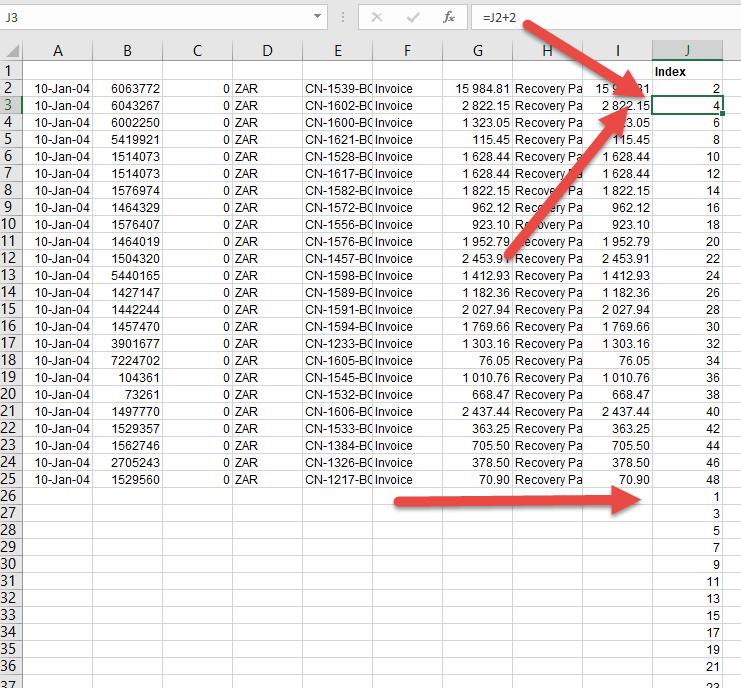 Once you have even numbers on each row with data, then you continue the index row by putting a 1 in the next cell (J26 below) and again add 2 to each cell after that (odd numbers). Go to DATA, then SORT and sort from smallest to largest. If you want this to be more automatic e.g. 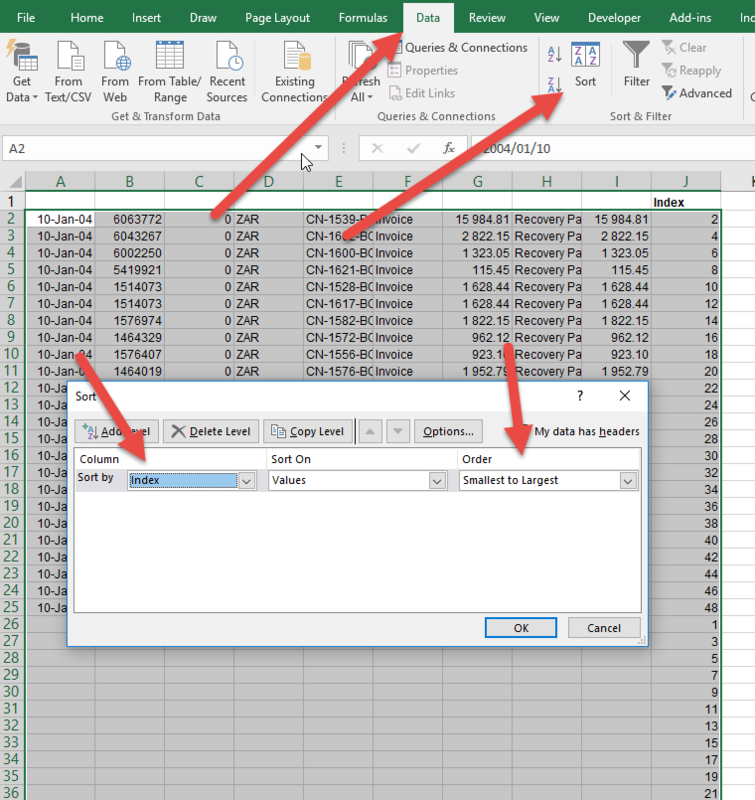 you copy and paste it into an area and in a new sheet it creates the blank rows you can use a VLOOKUP. Below in the blue area we can paste our data. 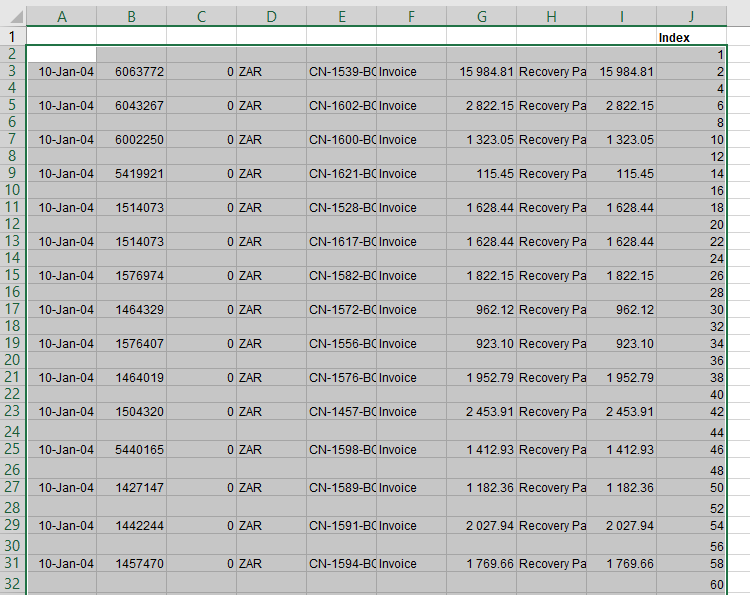 Note that in column A we have created a Lookup Index which is even numbers. In cell A28 we created a column going in number order (1, 2, 3 etc). 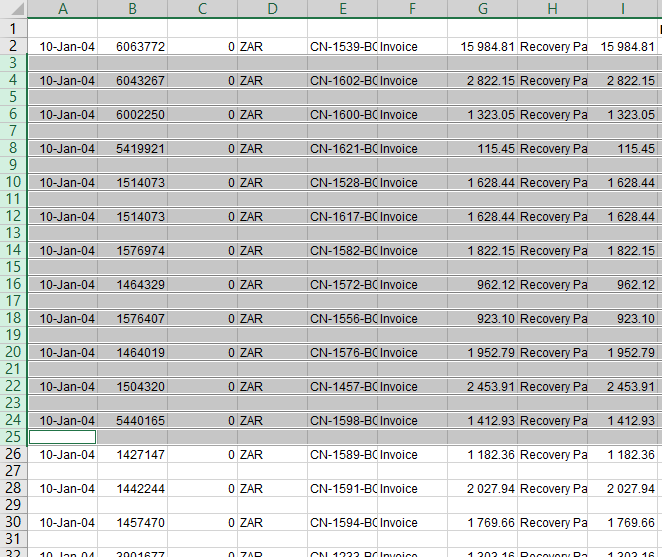 Now all we need to do is create a VLOOKUP that pulls through the number if it finds a matching number (e.g. the 2), but if it doesn’t find a match it puts a blank in. 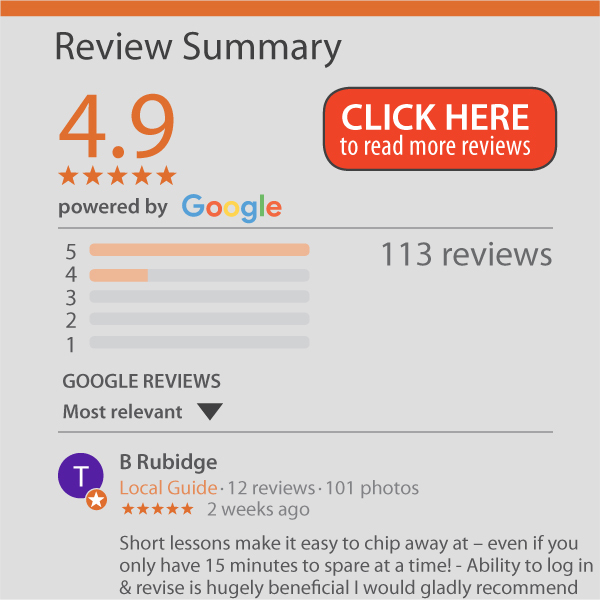 To learn more about VLOOKUP and how/ why we have the column numbers in row 1, look at our online VLOOKUP course.